Iyengar Yoga is characterised by precision and alignment. Students are able to achieve the benefits of each yoga pose through the use of props, gentle adjustments and attention to detail in teaching. The progressive nature of Iyengar Yoga ensures you learn the poses in a systematic way so your understanding deepens and you safely progress to build flexibility, stability, strength and well being. An ideal class for those who are new to yoga, or those who have some prior yoga experience but want more focus on the alignment aspects of yoga to support correct posture when building strength and flexibility. This Beginners Iyengar Yoga course will introduce the fundamentals of Iyengar yoga poses and is based on the teachings of B.K.S Iyengar, where alignment and integration of body, mind and breath are in harmony. An open level yoga class for students new to the Iyengar Yoga Method. Yoga poses are adapted to deal with injuries or conditions such as arthritis or fibromyalgia. Students with scoliosis will benefit from the strong focus on alignment. Drop-ins are welcome. 5 Week Iyengar Yoga Course: 10am, Thursday 2nd May 2019 Iyengar Yoga is characterised by precision and alignment. Students are able to achieve the benefits of each yoga pose through the use of props, gentle adjustments and attention to detail in teaching. The progressive nature of Iyengar Yoga ensures you learn the poses in a systematic way so your understanding deepens and you safely progress to build flexibility, stability, strength and well being. This Beginners Iyengar Yoga course will introduce the fundamentals of Iyengar yoga poses and is based on the teachings of B.K.S Iyengar, where alignment and integration of body, mind and breath are in harmony. 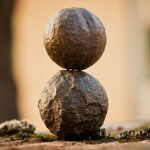 5 Week Yin Yoga Course: 6.15pm, Thursday 2nd May 2019 End your busy week with this beautiful calming and deeply relaxing mindfulness meditation and yin yoga class. Mindfulness meditation will help you relieve stress through exploring the habits of your mind. The passive Yin Yoga practice requires as much from the mind as the body as simple stretches are held for between 2-5 minutes challenging the mind to process negative thought patterns in a compassionate and accepting way. Body sensations are navigated by building inner stamina and endurance and developing a mindfulness based meditation practice. As a result, the entire body experiences deep rest. The long holds in Yin Yoga get past the muscles and target the connective ‘yin’ tissues - joints, ligaments, tendons and fascia that wraps around your joints, muscles and organs. Yin yoga will simultaneously promote and maintain mobility as connective tissue is safely and therapeutically stretched, stimulated and strengthened. This Yin Yoga practice will change the way you go through life, creating the internal peace required to “respond” instead of “react". Leave feeling relaxed both in body and mind. 2-Hour Somatic Neck and Shoulder Workshop: 10.30am, Sunday 19th May 2019 Do you have tightness in your neck or shoulders? Come along and be guided through gentle, easy awareness-based Somatic Movements and explore ways to create more ease and freedom through the shoulders, upper back and neck. Somatic Movement Education is a gentle, safe and highly effective way to end chronic pain, improve mobility and stability and relieve day-to-day stress. With Somatics, we always work holistically, using processes that re-educate the nervous system and help to restore functional movement. Through awareness and movement, you learn to sense, recognise and release habitual muscular tension and unwind their holding patterns in your body. As the muscles relax and lengthen, your mobility and strength increases, so you can enjoy normal activities in life with more pleasure and ease. This Somatic practice can help to soothe tight muscles, relieve stress and improve body-mind awareness. Leave the workshop with less pain and physical tension, feeling relaxed in your body and mind. This two hour workshop is led by Deirdre Mullins Somatic Exercise Coach, Clinical Somatic Educator and experienced Yoga teacher. She is passionate about sharing Somatic embodied practices which improve mobility, stability and function while also helping to relieve stress so we can all experience life more fully. 5 Week Beginner's Hatha Yoga Course: 09.30am, Friday 3rd May 2019 Beginners Level Hatha yoga class, suitable for beginners to yoga or coming back to yoga after a break. In this Hatha Yoga course you will learn the basics of hatha yoga asana (postures), breathing techniques and how to relax and restore from the challenges of daily life. First-time students are welcome in this traditional hatha yoga class. A slower paced class, Hatha yoga incorporates breathing exercises and meditation to call the mind and focuses on proper alignment and form to support your body. Students will experience a comprehensive, yoga balanced class with expert guided instruction throughout the class. 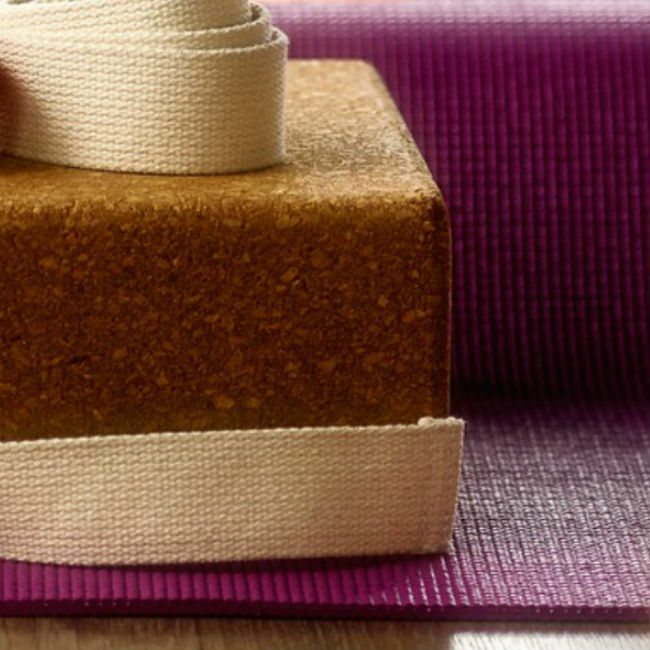 You will leave this Hatha Yoga class feeling more relaxed and balanced.